Throughout his lengthy collaboration with the Company (from at least 1871 until his passing, when he was replaced by Giorgio Polli), the civil engineer Eugenio Geiringer (Trieste 1844-1904) had a central role in planning numerous buildings owned by the company in Italy and abroad. In the 1870s, he directed important projects which changed the face of Trieste’s central square, today’s Piazza Unità d’Italia. Together with Domenico Righetti, he designed the new facade of the Palazzo Stratti, which served as the headquarters of the Central Head Office, and the Hotel Vanoli (today the Grand Hotel Duchi d’Aosta). Over the following decade, he was tasked with building the new Company headquarters. For this elegant building, the first in Trieste to use electric lighting for the offices, Geiringer balanced his passion for progress and the most up-to-date applied sciences with an appreciation for classical art. The original blueprints with his signature form part of the company’s archival heritage. 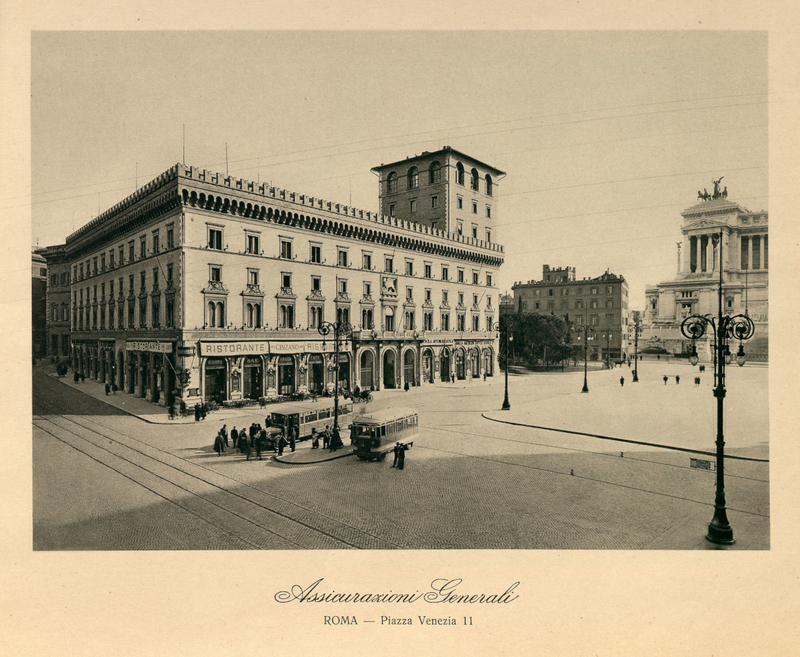 In 1904, Geiringer participated in the construction of the imposing Generali headquarters in Piazza Venezia in Rome. At the same time, he was also carrying out work as a railway engineer. He is best remembered in this field as the engineer of the Trieste-Opicina tramway which connects the city to its karstic plateau, and above all for the Trieste-Vienna train line. He was also behind various projects to develop the railway networks of Carinthia, Istria and Slovenia. Later on in life, most likely towards the end of the 1800s, he changed his surname to Gairinger: this is attested to by various documents published at the time, the book Il Monumento a Domenico Rossetti in Trieste which he signed as the author (together with Alberto Boccardi) in 1901, and several obituaries written in 1904. The new form of his surname, which matched the pronunciation, was also adopted by his children, one of whom, Riccardo, was also employed by Generali. His wide range of interests led to him becoming not only a central figure in the Company’s real estate projects (as mentioned in several executive memos, his correspondence with Management, preserved in the General Secretariat, and above all in the various reports in the files in the real estate collection), but also in the business and cultural life of the regional capital. Indeed, he was the director of the Banca triestina di costruzioni [Trieste’s Construction Bank], President of the Società degli ingegneri e architetti [Society of Engineers and Architects] and a member of various municipal administrative bodies. Geiringer was also the curator of Trieste’s civic museums of antiquity and natural history.